​This year will be the first year SWE will be having WE Local Conferences (rather than Regional conferences). Any member is welcome to attend any WE Local across the globe. Due to its Midwest location SWE-ECI will be attending the WE Local Milwaukee this year. The conference will be held on March 8th through the 10th in beautiful downtown Milwaukee. 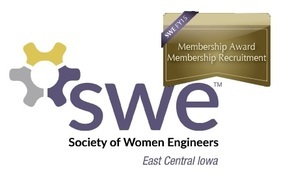 Registration is now open - Register here and let SWE-ECI know if you will be attending so our section can join up below!